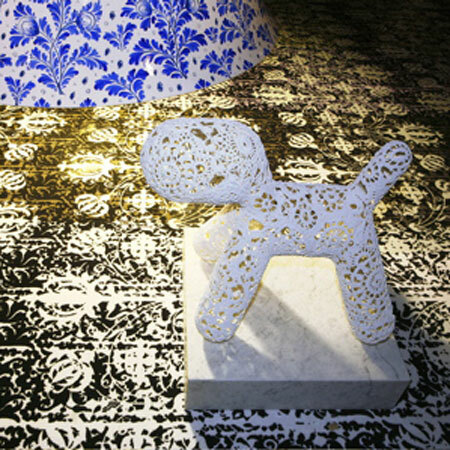 Here are more images of World Carpets, a new concept for customisable carpets by Marcel Wanders for Dutch manufacturer Colorline. The concept allows different combinations of colours and printed patterns be be specified by the buyer. The photos were taken at Wanders' solo show in Milan last month, which was completely carpeted with the product. More information on this project in our earlier story.